Chandigarh August 16, 2010. 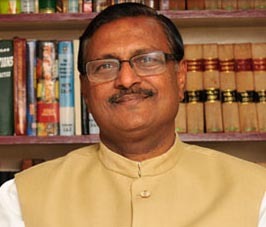 Mr. Satya Pal Jain, Ex City MP and the National Incharge of Legal & Legislative Business Cell of the BJP has said that the Prime Minister’s address to the Nation on Independence Day from the Red Fort has been meaningless, disappointing and directionless. Mr. Jain was addressing the gatherings in various parts of Chandigarh including Maloya, Mauli Jagran and Indira Colony, Mani Majra on the occasion of Independence Day Celebration on August 15, 2010 as Chief Guest. Mr. Jain said that though 63 years ago India got Independence from Britishers, but today Indians have been enslaved under the slavery of price rise, unemployment, corruption etc. etc. He said that the Prime Minister in his speech did not elaborate as to how his govt. proposes to save people from the clutches of all these evils. He said that as per famous saying “Bhukhe Bhajan Na Hoye Gopola, Le Lo Apni Kanthi Mala”, it is very difficult to fully celebrate the independence day, by those who are not able to even feed themselves and their families because of escalating prices of essential commodities. Mr. Jain said that it would have been better if the PM, instead of making false promises, postponing the solutions to the burning problems, had taken the Nation into confidence as to how he and his Govt. proposes to solve them. He said that his speech has once again shown that the present central Govt. is “insensitive” to the problems of common man.